Every Chimney Needs a Cap! 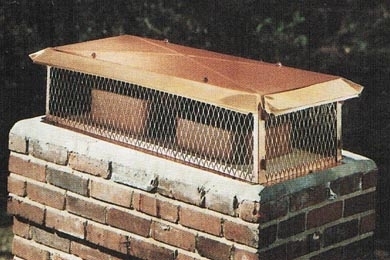 A chimney cap prevents rain from entering the chimney, which can cause the damper and metal fireboxes to rust out leading to expensive repairs. 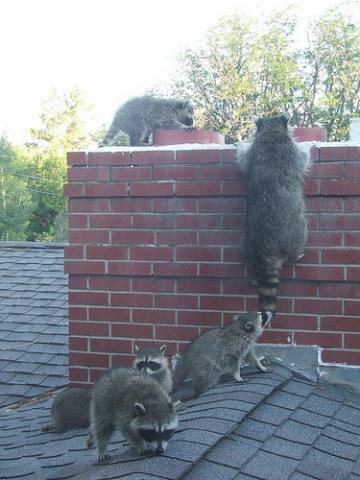 Chimney caps will not allow birds, raccoons, squirrels or other animals to enter the chimney to nest. 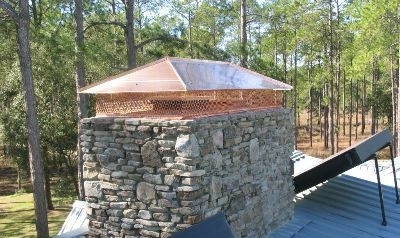 Our chimney caps include wire mesh to reduce the amount of sparks and ash that can blow into the air and onto rooftops. This is particularly important if you have a wood roof. We have standard single flue caps available but most of our clients prefer a cap that is custom sized to cover all the flues on their chimney. In many cases these are less expensive than several single flue caps. Our technicians have the expertise to recommend and install the appropriate chimney cap for any chimney. Special caps (for large or unusual sizes), Hip & Ridge caps, Copper caps, and UL listed caps for manufactured fireplaces are all available from our trained staff. Be sure to ask one of our technicians which chimney cap is the best for you. 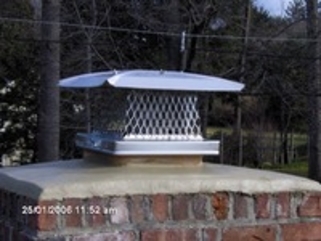 This is an example of a 3 flue chimney with 3 separate single flue caps. We would definitely recommend putting on one custom cap to cover all the flues as you can see in some of the examples above. Often this is less expensive than the 3 separate caps and it does a better job of keeping the rain out of the flues. In addition to functioning better, it looks much better also. The chase you see here is the typical box that is built around a pipe chimney. Sometimes it looks like masonry but the telling feature is the round cap coming out of the top. The lid on the box is called a "chase cover." This one, as you can see, has rusted out badly and needs replacing. We do not do that work but we can recommend someone who does.